In main windows, click "Report" icon. Click the icon and choose "Account Report" to to launch "Account Report" window. You need to provide a name for this report. 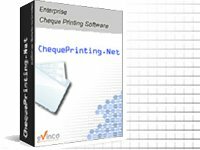 Choose the cheque book to generate the report from. You can specify other report criteria, like Amount, Start Date and End Date of issued cheque. You need to save the Report before making Preview. You can refer to the "Last Generated" to see how update the report is.